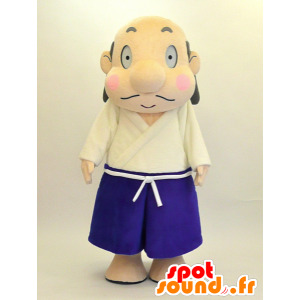 Very nice Japanese man mascot, with gray hair, dressed in blue and white, which will unanimously at events Marketing festive. With its friendly air, this costume will be ideally suited to represent Asia and Japan. Ideal for children. Customize it with text and accessories of all kinds. Accessories for sale here! For a business, a magical event, a toy store or just for fun, this mascot pink and yellow dragon with white wings, is perfect. Impressive and very successful with its fun air and his big belly, this costume will surprise many. Use it in you to know, or to dazzle your guests! Quality fabric! 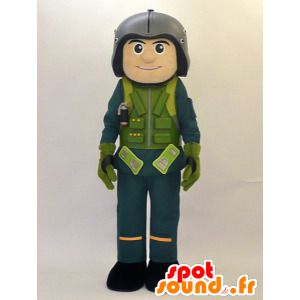 Beautiful mascot Xiang kun, Air soldier in a green uniform with a helmet. 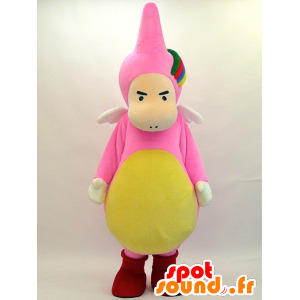 Friendly and very realistic, this costume will delight everyone. Ideal for a military barracks, to represent the army or actions or for performances of all kinds, you can customize at will! Comfortable fabric and high-end machine washable. Quick and neat delivery ! 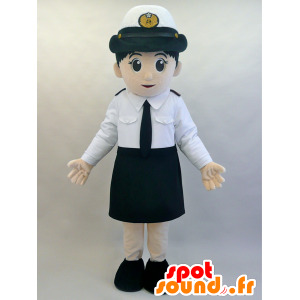 Mascotte air hostess, very elegant woman in white and black uniform with a cap. With its elegance, this classy mascot, will be ideal to host very successful trade events. 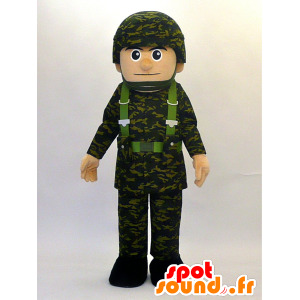 This girl costume, hostess, will be also ideal for carnival, for marketing actions or animations on the theme of the army. Free Delivery. Beautiful mascot Mamoru kun, military man in green uniform with a helmet on his head. 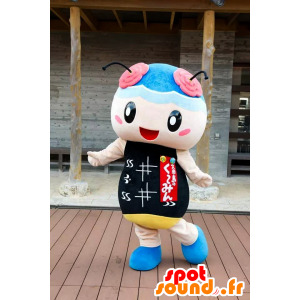 Friendly and very realistic, this costume will delight everyone. Ideal for a military barracks, will represent the army or actions or for performances, you can customize at will! Comfortable fabric and high-end machine washable. Quick and neat delivery ! 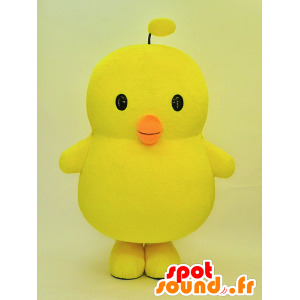 Funny, fun, colorful and cute, this big yellow and orange chick mascot, plump, dazzle all your friends and spectators. 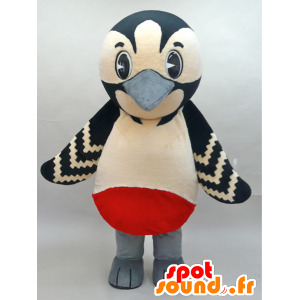 With his big belly and his funny look, you can wear this beautiful bird on all occasions, the atmosphere is guaranteed! This furball seduce for sure! Comfortable and designed with quality materials! Available accessories here! 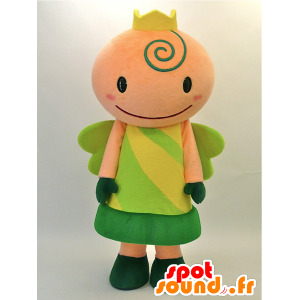 Kurutchi mascot, fairy, princess crown with a yellow and green wings, dressed in a yellow and green dress. Very smiling, attractive and friendly! Dress up as fairy to the delight of children. To shows for Christmas or a birthday party, this costume enluminera your finest moments. Customizable for a bespoke suit! 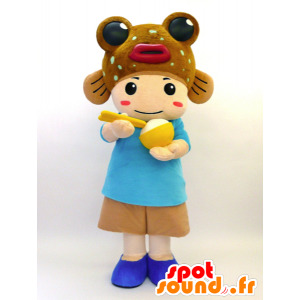 For a restaurant, a port city, a fish, a beach, a sports school, summer events or for highly successful marketing events and parties, this mascot Tabenba-kun, boy with a funny fish on the head and a bowl rice in the hands surprise everyone! Beautiful, colorful and original, this mascot will brighten your best moments! 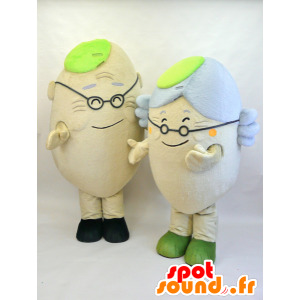 Our Spotsound platform specializing in events, presents the mascots of elderly people, a man and a woman. Fun and atypical, with Green Berets and mischievously, these couples costumes will amaze your guests and friends, when your best marketing or personal events. Perfect for a couple or a duo! Pretty very original mascot Rippyi, great white and pink bunny with a bow tie and a big smile. Only suit of its kind, gentle, very entertaining for colorful events. Adaptable to your business image with your logo or slogan, you can use it for marketing actions, parades or personal events. A true giant plush! 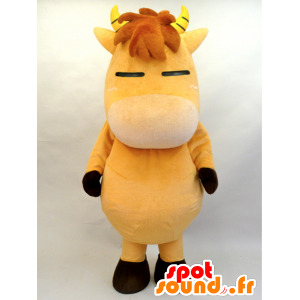 Sweet, funny, touching and cute, this horse mascot foal, giant brown cow with yellow horns, will be ideal for an amusement park, village feasts, marketing actions, or a wildlife park ... . Its funny air will everyone in a good mood! Original and entertaining, this costume will delight children. You can adapt it to vote image! 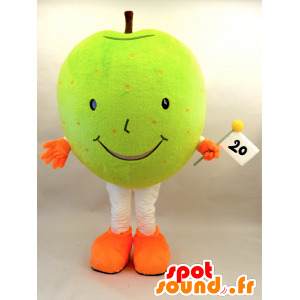 Original and tasty, this lovely mascot Nasshi, big giant green apple, appetite will all your loved ones or your audience. The large head and enchanting colors will appeal for sure! Accommodate this nice costume fruit of a banner, text, accessories ... Comfortable and designed with quality materials, you will not be disappointed. 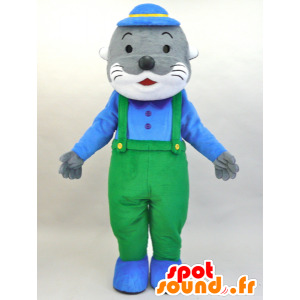 With this mascot, pretty and funny Kawauso Akuakun, gray and white sea lion with a green overalls and a blue shirt, you can animate your aquarium or zoo. Also perfect for a fish, for shows, water park or sports performances. With this seal costume, with a friendly air, you will not go unnoticed. Very successful and light! 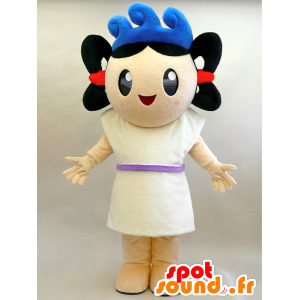 For a holiday center, a beach, a surf school, summer events or for highly successful marketing events and parties, this mascot Umit kun, brown girl with a white dress and waves on the head, will be ideal! Beautiful, seductive and original mascot illuminate your best moments! Add text to it or accessories for even more fun! 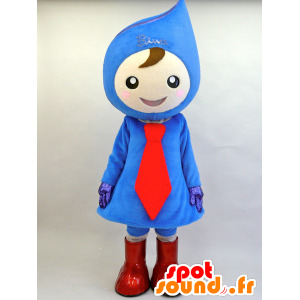 Spotsound present here this Sai-kun mascot, big blue hippo, smiling, wearing blue overalls. Impressive and funny, you can as well use it for a zoo, a wildlife park, a show or a circus, to participate in that most beautiful and best games disguised evenings with your friends. Optimal comfort and perfect finish! 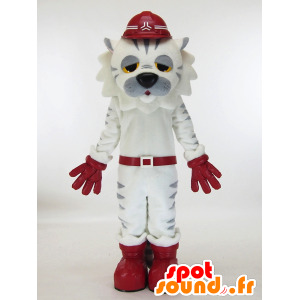 With its funny and tired, this superb mascot white and gray tiger with a helmet and red gloves fascinate your audience. In a circus, games, an event on the theme of animals, or for meeting friends you will not be disappointed. His clothes are fully customizable with your own text, logo or accessories. Light and comfortable outfit! 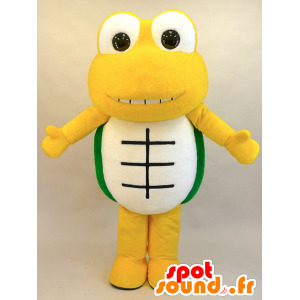 Pretty colorful, realistic mascot Kerotta Cha, green and yellow frog with big eyes. It will please your loved ones and your audience! 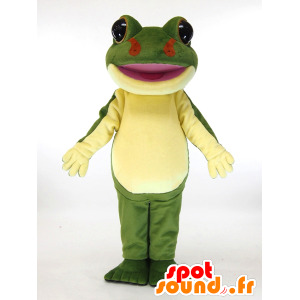 In a zoo, a theme event or to let you know, this costume will be perfect! Add text to it, clothes and accessories for a unique mascot in your image! Several sizes available. 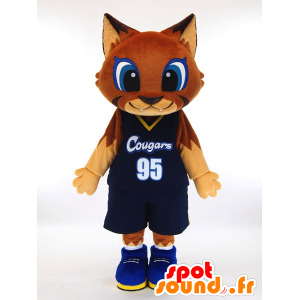 Our site Spotsound specializing in events, offers this Ku-u disguise, brown and beige cat in black holding basketball. Very cute, fun and colorful, with beautiful blue eyes, he will animate your sports events, your events, your marketing activities or your evening cocktails. Fun and colorful, add him props for even more fun! 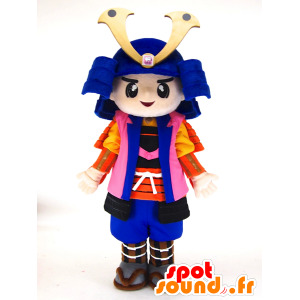 We offer you this friendly mascot Shinma chan, Japanese man, dressed in samurai blue, pink, red and yellow. This master of martial arts costume beautiful and intimidating will be perfect for shows, parades, sporting events, or for commercial animations. Very successful, it will be necessary for most events. Changeable to suit your needs! Smiling and funny, this friendly mascot blue snowman, shaped like a giant drop with a red tie will fit the bill for all kinds of events. Anxious to your satisfaction, we will adapt to your needs when ordering. Choose your size, add a logo, text, or various and varied accessories. The possibilities are endless! 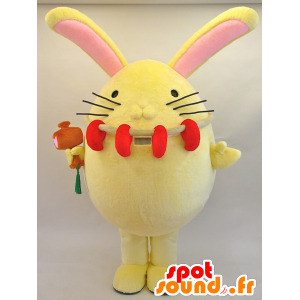 We offer you this friendly mascot Enmaru, large yellow bunny with big ears. 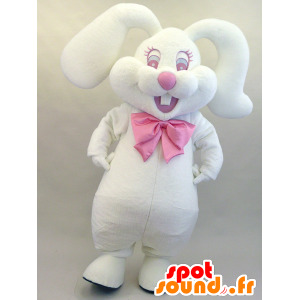 This bunny costume very cute and plump will be perfect when your biggest events. Successful and very original, it will be necessary for marketing activities and celebrations of all kinds. Modifiable to suit your needs so you can adapt it as you see fit! 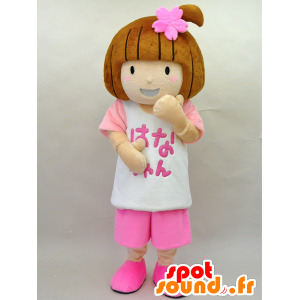 Cute and colorful, this lovely mascot Hana-cha girl dressed in pink and white with a pink flower duvet and make an impression at events of all kinds. With its fun air, this costume will be perfectly suited for fun or profit-making activities. Ideal for children. Adapt it to your needs, in embellishing accessories of all kinds. With its beautiful green colors, yellow and white, her beautiful big cute carapace and head, your success will be guaranteed and you will not go unnoticed. 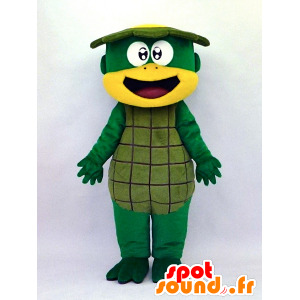 Lightweight, comfortable and exists in all sizes, the mascot turtle can be customized to your image. Spotsound is committed to respond positively to all your customization requests. 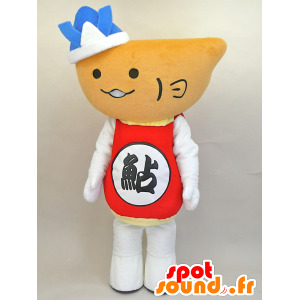 Beautiful and colorful original mascot of Hiayu kun, beige fish, red and white, giant and funny, with my head shaped bowl. Very cute, smiling and atypical, it will make a splash with your audience. Whether for a zoo, a fish, an aquarium, a port city, a marketing representative or to a restaurant, this fish costume is perfect. Pretty very original mascot Yottan, large red and white rabbit with a yellow pacifier and a big head. Only suit of its kind, very entertaining for colorful events. Adaptable to your business image with your logo or slogan, you can also use it for marketing actions, parades or personal events. 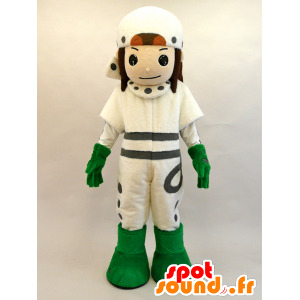 For an IT society, new technologies for a futuristic evening or business events, costume Mayuda Man, boy futuristic white and green outfit, will be ideal. This costume is adaptable at will. With it, you can best represent your company or your personality! Comfortable fabric, quality. Whether for a marriage proposal for Valentine's Day, a birthday, an association or a hospital, and the mascot Toyopi Tokokoron, big yellow heart with its small in the pocket, will be perfectly suited. 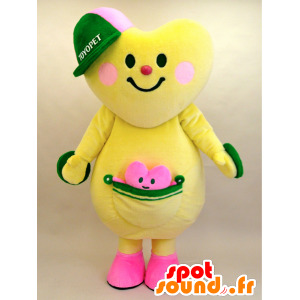 Giant, entertaining and friendly, this giant heart costume convince your audience without fail. We will answer all your requests for your satisfaction. 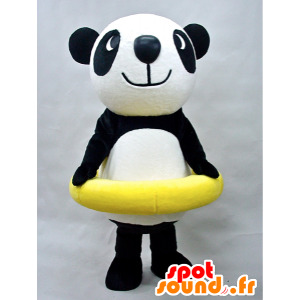 Mascotte fun and funny to Puropanda, black and white panda with a yellow buoy. 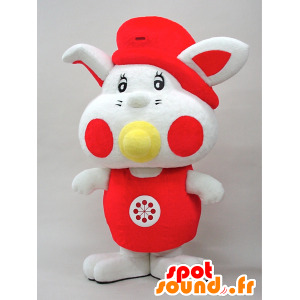 Fun and unusual, this Asian animal costume can be customized as you wish! With this true giant plush, everyone will be seduced. Do not wait any longer ! This costume, made with quality fabrics, available in all sizes. Sent carefully and quickly. 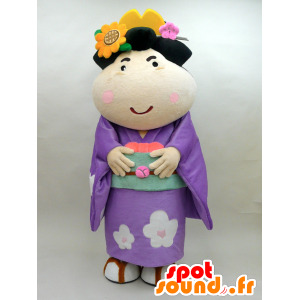 Superb mascot Koume, Asian woman with a beautiful purple dress, very successful and stylish, you will make sensation. Feminine, pretty, floral and with a perfect finish, it will be used for all kinds of events, parties and entertainment marketing. Customisable at will, you can customize it according to your current needs. Accessories for sale here! Superb mascot beige, black and gray with a red slip and a big head. 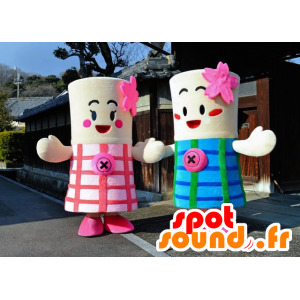 Colorful costume, giant, original, all round and cute, for colorful events. Adaptable to your corporate colors, you can use it for marketing campaigns or personal events. A true giant plush, you will not go unnoticed! 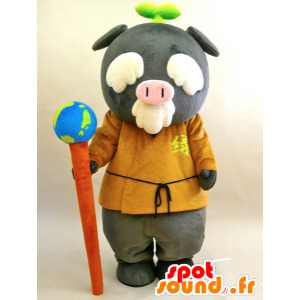 Gray and white and dressed in a brown dress, the costume Ecoton, pig, carrying a scepter shaped globe, will be perfectly suited for marketing activities, awareness campaigns, activities on the theme of travel or the 'ecology. Costume with a perfect finish, very cute and succeeded! Personalize it so it exactly meets your needs! 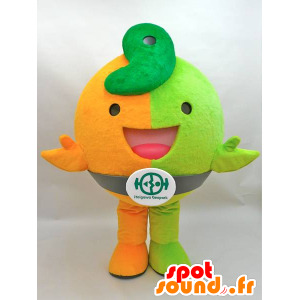 Spotsound propose here that pretty costume Jiomaru, green and orange dinosaur, round and funny. Entertaining, cheerful and colorful, with its air and smiling spikes in the back, you may as well use it to promote your store of video games, to participate in that most beautiful fancy dress. Optimal comfort and perfect finishes for even more fun! 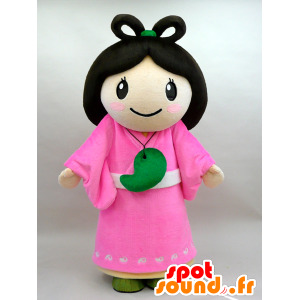 Spotsound propose here that pretty costume Nuna, brunette Asian woman in traditional pink and white clothing. Original, cute and colorful, you may as well use it to promote an Asian restaurant, a culinary specialty, to participate in that most beautiful fancy dress parties with friends. This mascot will appeal much to children. Optimal comfort!